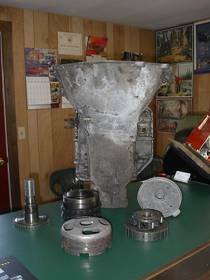 We have many of the used parts that you may be looking for. 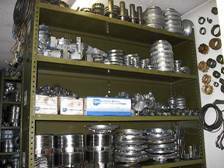 Whether you are looking for a complete core transmission, a case, a pan, or parts, we either have it or we can find it. From common transmissions like the 4L60E to hard to find old transmissions like PowerGlides. Check the lists below to see what we have for you, or you can just Contact us with what you’re looking for and we’ll let you know what we can do. Contact us if you don’t see what you’re looking for, we may have it or we can try to get it for you. We have cases to almost all Domestic Transmissions and to some Foreign Transmissions. Both automatic and standard. Contact us to find a case for your transmission. Contact us to see if we have what you need.